Who am I? How can I get to know my real self? Where am I heading? 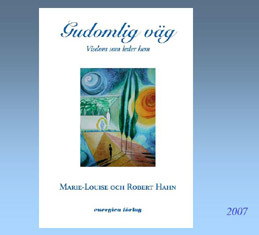 Marie-Louise and Robert Hahn´s book Heavenly Road is built on psychic talks with the spiritual world which concludes he great challenges for humanity. There are seven themes which we have to work with during our lifetime. We can approach two additional themes after having gained knowledge about these seven. They deal with our relationship with earth and with God. The book describes spiritual and practical ways to promote personal development which are independent of religion. We find unifying principles for all spiritual thinking which create peace inside and outside ourselves. We follow an eventful pilgrimage to Assisi in Italy. Many years ago Robert had visions of previous lives when being under hypnosis, and he decides to investigate whether they have a true background. His search takes us to the trenches at the river Somme and the letters he himself wrote from the West Front. Another journey takes us on a spiritual and historical adventure to the mountain Foce´s steep slope in northern Italy. Has Robert really found the ruin of the hermitage where he lived as a foundling with monks 600 years ago? 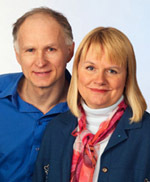 The book Heavenly Road is authored by a married couple, Marie-Louise and Robert Hahn. Marie-Louise is a state registered nurse who later became a painter artist. 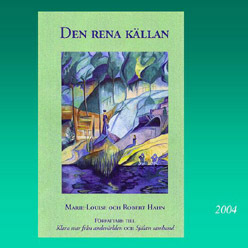 Ten years ago she developed an extraordinary capacity as spiritual medium. Robert is a physician but has gradually devoted more time to medical research. For 10 years he served as professor of anaesthesia and intensive care at the Karolinska Institute, Stockholm, but is now Director of Medical Research and Development in Södertälje County 30 miles south of Stockholm. The couple has three children and live in a suburb of Stockholm, Sweden. 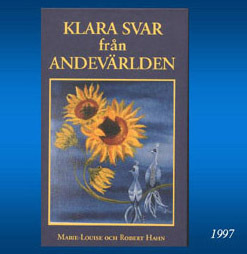 They have co-authored four books inspired by Marie-Louise´s spiritual capacity, all published by Energica Bookhouse. These books are quite popular and new editions are continuously being printed. The first book, Clear Answers (1997) explores what kind of information one can get via a spiritualistic medium. In Kinship of Souls (1999) the couple finds that one of their children is autistic. What does this mean from a wider perspective? The Clear Well-spring (2004) deals with how to integrate spiritual thinking into everyday life. Their novel book, Heavenly Road (2007), has been eagerly long-desired. This book consists of 48 chapters printed on 260 pages and can be read independently from the previous ones. Half of the text contains spiritual lessons about how to manage your life. The other half describes Robert´s search for evidence of two past lives, which are eventually confirmed, and well as a debate about spiritual versus scientific knowledge and a description of a pilgrimage to Assisi. The book contains about 20 black-and-white photographs which are mingled into the text pages. 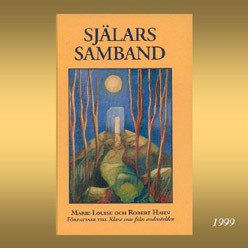 Clear Answers (1997), Kinship of Souls (1999), The Clear Well-spring (2004)and Heavenly Road (2007). All covers contain original art by Marie-Louise.